These signs are made of ¾” MDO plywood, which is a very high grade exterior plywood that sign people have been using for many years. ( At least 45 ) They are painted and primed with oil base exterior paint made for the sign industry. The lettering is made of pressure sensitive vinyl that has a 7 to 8 year life expectancy, (It usually lasts longer). The smaller rider sign will be the gold color with burgundy lettering and will include hooks to attach to the main sign. 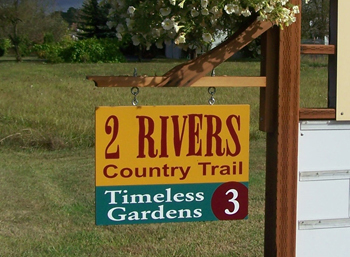 We can provide hangers or posts for your sign as well. As everyone’s situation is different so please call me or email me at the address below. 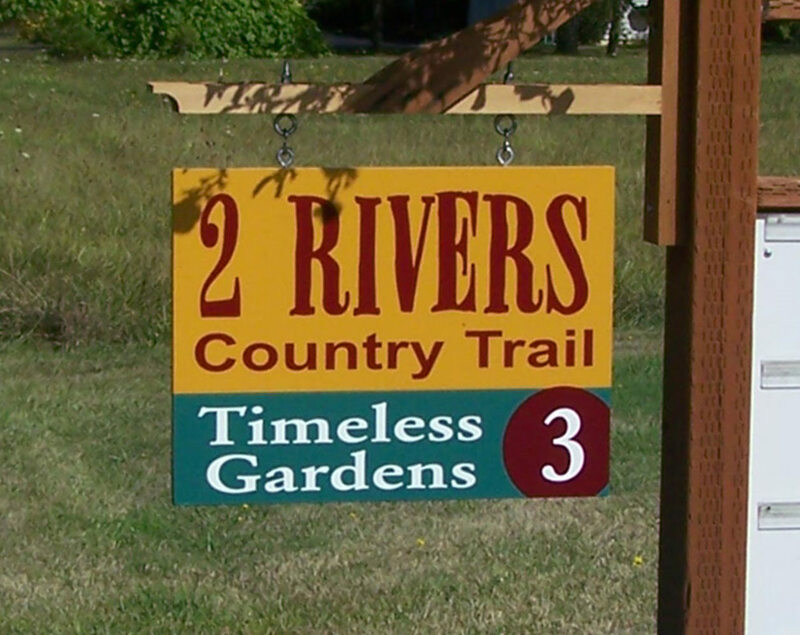 To order signs please email at dic@basonsigns.com or call me at 541-258-7118.